Here we go again. 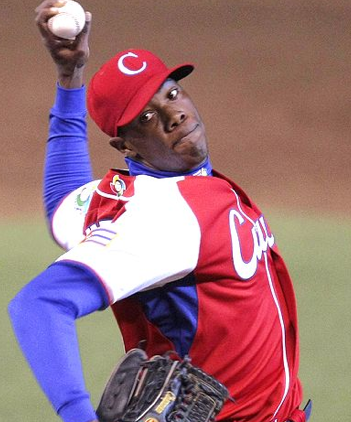 According to SI.com, the Yankees are talking with the Blue Jays about a possible deal for RHP Roy Halladay. 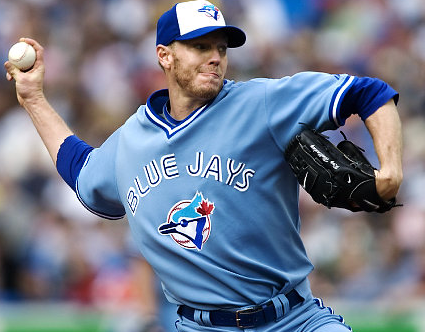 Halladay is by far one of the best — if not the best — pitcher in the Major Leagues. Last year he was a huge topic for discussion, and it’s no surprise his name is up again. He had the lowest BB/9 ratio this season at just 1.3. He had the highest SO/BB ratio at 5.94. He is consistent, pitching over 200 innings in 6 of his last 8 seasons, leading the league in that category in ’02, ’03 and ’08. He strikes out almost 8 batters per nine innings. He has led the league in CG in 5 of his last 7 seasons. He is probably the best there is. The Yankees would have to give up a lot of valuable prospects. Sorry… Chuck. Is Halladay one of the best pitchers in the league? Definitely. But, there is going to come a point where the Yankees are just going to need to sit back and play their hand. Realistically, they could get the best player at each postion (they almost have that) and pay them all very well, but, wheres the fun in that? To me, I rather watch the Yankees bring up some star prospects and watch them grow, rather than the Yankees stacking their team with veterans and watching their starts succeed somewhere else. Yanks go for series win, Blue Jays look to split. Swing Early: Tallet has given up 31 hits (5 2B, 1 3B, 6 HR) in 77 at bats on the first pitch this season. Thats a .403 batting average. Take Advantage: With RISP, Tallet has opposing hitters hitting at a .298 clip. Forget the Match-Ups: Lefties are hitting .291 off Tallet which is a lot better than right handed hitters. So, if your Joe Girardi, don’t keep your lefties out of the line-up just because a lefty is on the mound.